your soul of Light divining. Love’s words and pictures gifting. 33 paintings to instantly connect you to who you truly are. 33 cards in which to immerse yourself in order to find your Self. 33 Dimensions of Love, all part of your true nature, rediscovered through the experience of spiritual art. 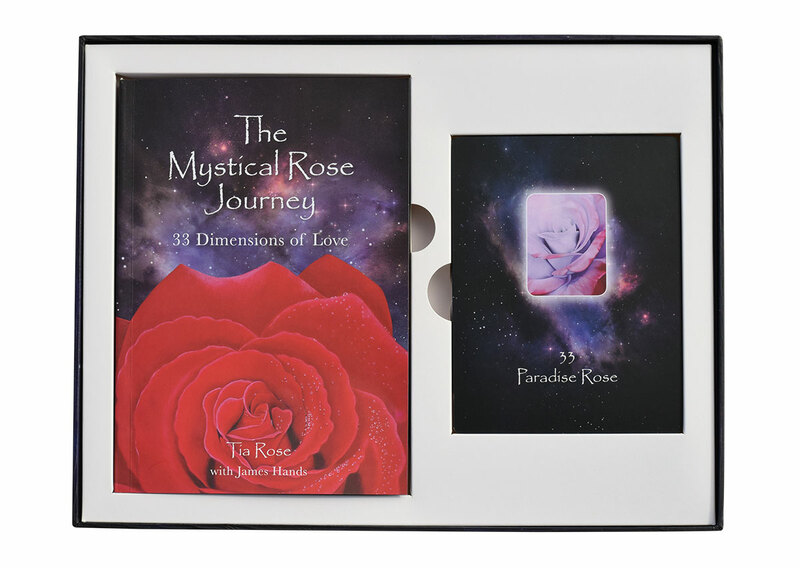 This beautifully presented card and book set gives you all you need for a profound, experiential journey through the entire Mystical Rose Gallery. Opening into the images, enjoying the writings and engaging with the contemplations, will take you on a transformative voyage of self-discovery that is both deeply nourishing and inspiring - one that you will want to do over and over again. 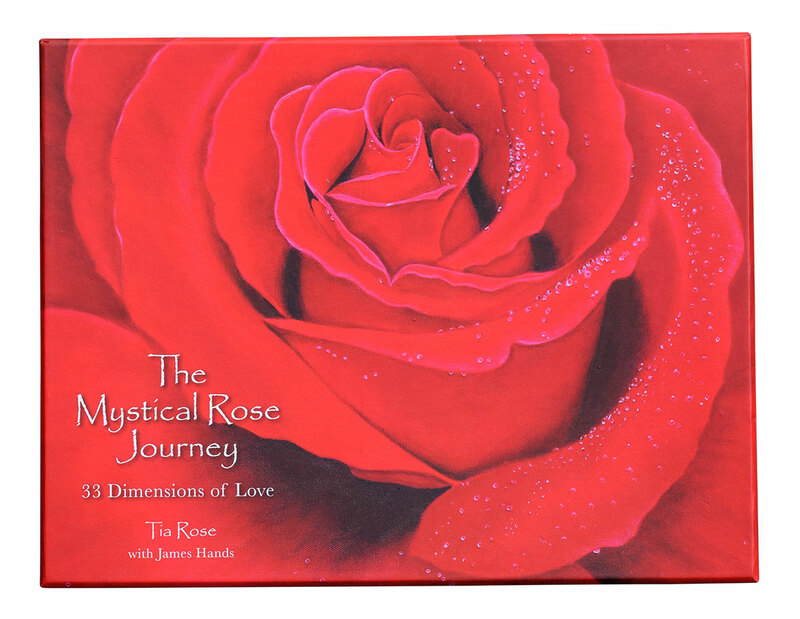 Your Mystical Rose Journey arrived in all its glory at our post office yesterday! The packaging is superlative and the production stunning. Not only are the visuals wonderful, but the little book seems from my first read, to contextualise the images with the metaphor of the journey. I look forward in the days to come, to working with the cards and developing a deeper understanding of their process. Huge congratulations to you, firstly for the wonderful images, then for the lyrical prose and poetry that creates such a beautiful whole. Anyone who holds your work in their hands will begin to feel uplifted already! 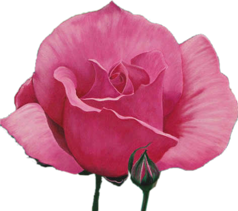 The complete set of paintings of the Mystical Rose Gallery, are presented in large, high-quality reproductions. The cards are comfortable to handle, durable and invite contemplation. The book is printed in full colour on satin paper and contains everything you need to immerse yourself in your mystical journey. Each chapter includes: key statements, affirmation, overview, poem, reflective questions and meditative contemplation. These help to guide you into experiencing the essence of each painting, and realizing its depth and presence within you. As you journey through the cards, a gentle opening occurs on the conscious and unconscious levels, bringing new awareness, clarity, inspiration, and a deeper and fuller sense of being. You are coming home to your true nature. The awakened artworks of the Mystical Rose Gallery were created from a pure, complete immersion in the energies of love and truth. 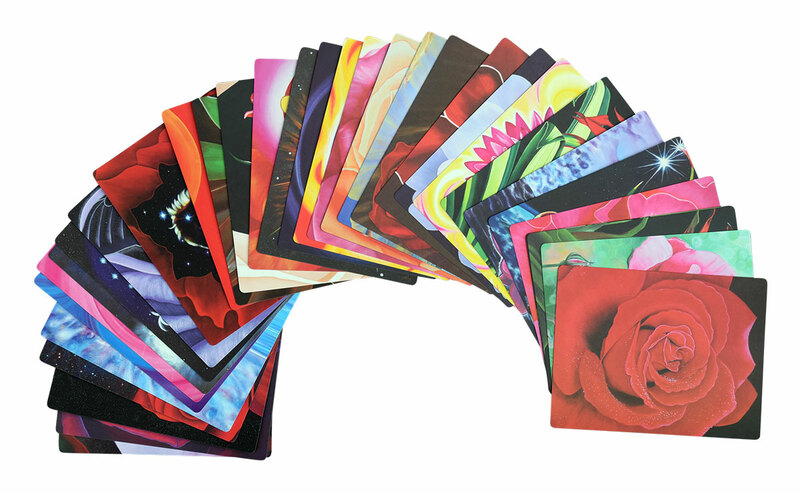 However you feel inspired to use these cards, know that they are more than just beautiful images, they are mirrors of the love, joy and peace that shine within you. 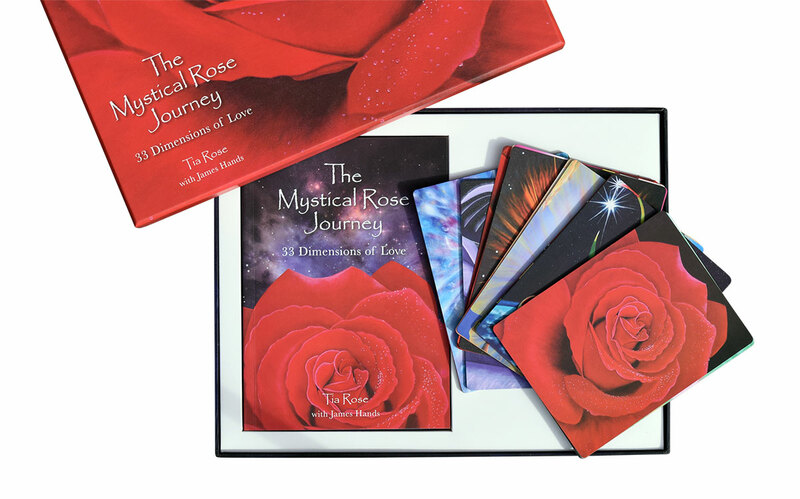 Gifting myself with The Mystical Rose Journey has been a really profound experience. Each painting, each dimension serving as a confirmation or invitation to deepen my connection with myself and the Divine, loving Source of All things. I have experienced so much peace as well as joyful clarity (and not just with the cards, throughout my entire day!). 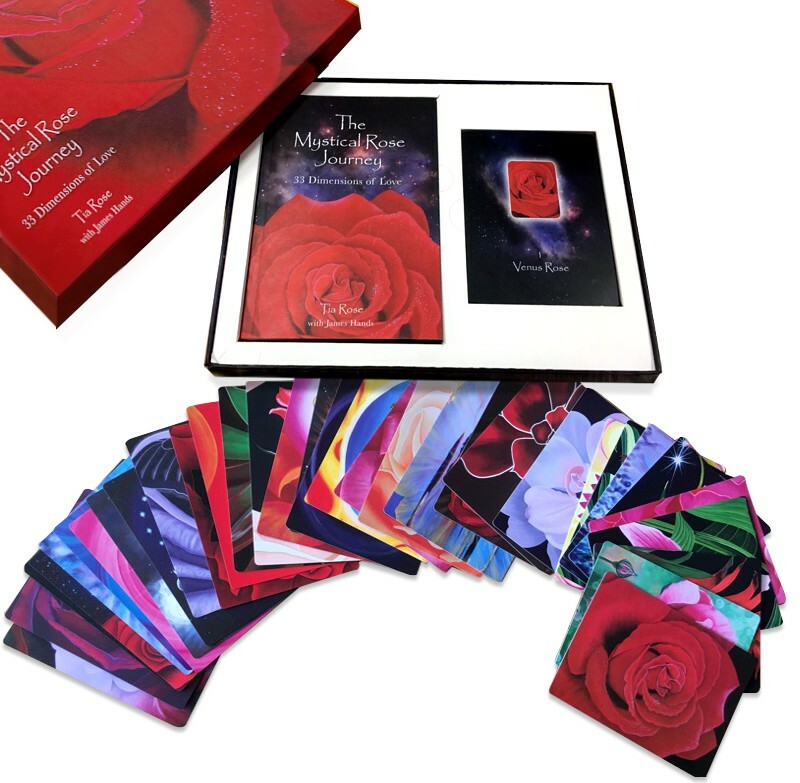 Receiving the energy in each card, absorbing the words and connecting to all aspects of myself, my higher self and soul; Divine masculine and feminine along with the All That Is. There have been really significant shifts in my meditation as well as significant enhancements in my personal and professional life. Really feeling my value and sharing that in how I express and share myself and my gifts. I plan to keep this phenomenal tool close by and journey through it again and again. Thank you from the depths of my being to you Tia and James! Tia and James offer the paintings and poetry of the heart that will inspire and enrich you beyond belief. Come join in the experience and allow your intuition to lead the way to purity, love, and infinite light.